Bay Gardens Resorts and hotels offer an exceptional location close to St. Lucia’s most popular natural attractions, nightlife, and dining, with easy access to island adventure tours and day trips. Our proximity to St. Lucia’s best events and things to do in the thriving Rodney Bay Village makes it easy to plan a Caribbean vacation to include an exciting regional event. 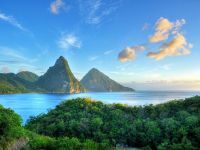 Plan your stay in St. Lucia to include any of these thrilling events and things to do in Rodney Bay Village and beyond! Come celebrate with the island as Saint Lucia commemorates its status as a sovereign nation, becoming independent from Great Britain in 1979. We are very proud of our young 49 year old country! Join in on the fun with a variety of activities across the island.